SriLankan Airlines was the Official Airline Partner of the Boyzone 25th Anniversary and Farewell Tour concert that took place in Colombo recently. 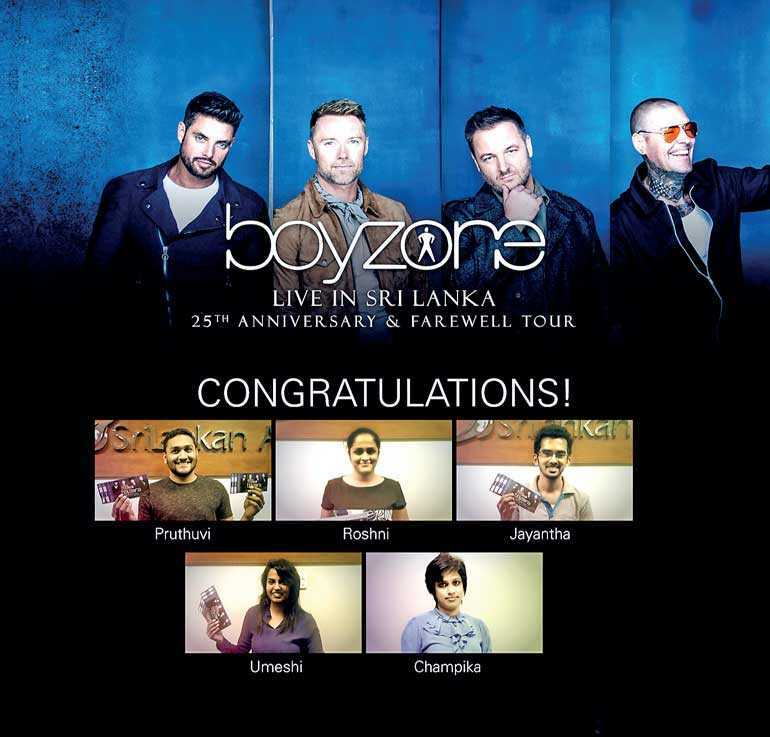 In celebration of this once-in-a-lifetime musical event, SriLankan carried out a contest on Facebook and rewarded five lucky fans with a pair of tickets each to watch Boyzone live. SriLankan maintains an active presence on social media and invites fans to like and follow the Airline on Facebook in order to participate in similar activities in the future, and stand the chance to win amazing gifts, including air tickets.